EMBODI is designed to refocus the collaborative efforts of the New York Alumni Chapter with Delta Sigma Theta Sorority, Inc., New York Alumnae Chapter, on the plight of African-American males. Both informal and empirical data suggests that the vast majority of African-American males continues to be in crisis and is not reaching its fullest potential educationally, socially and emotionally. EMBODI is designed to address these issues through dialogue, and recommendations for change and action. EMBODI promotes and provides opportunities to improve the quality of life for at risk African American males through a comprehensive approach aimed at developing their overall potential. The program focuses on education, culture, mentorship, preventative health care, financial scholarship, and community service. This program will continue in October. The P.S. 94 Step Team is an after-school program that meets for four hours per week and it is sponsored by the P.S. 94 Kings College Preparatory School for the 21st Century located in The Bronx, New York, which serves boys and girls grades Kindergarten through Five. The step team is an extension of the New York Alumni Chapter Guide Right Program and their practices and performances are coordinated by Brother George Rodriguez, a Spring 1980 Kappa Rho initiate and member of the New York Alumni Chapter. The program’s success is credited to its Director, Melodie Brewington, a Fourth Grade Teacher at P.S. 94, who developed the program with the goals of promoting teamwork, cooperation, unity, discipline, and hard work. The step team is made up of both boys and girls, and to be eligible for participation, students must maintain a good academic and behavior record as reported by each of their teachers, and permission from their parents. As members of the step team, students enhance their natural abilities and talents for creativity, hand-eye coordination, organizational skills, and paying attention to detail. Members of the New York Alumni Chapter have visited the step team practices to encourage students, share their experiences as fraternity members, and offer advice. 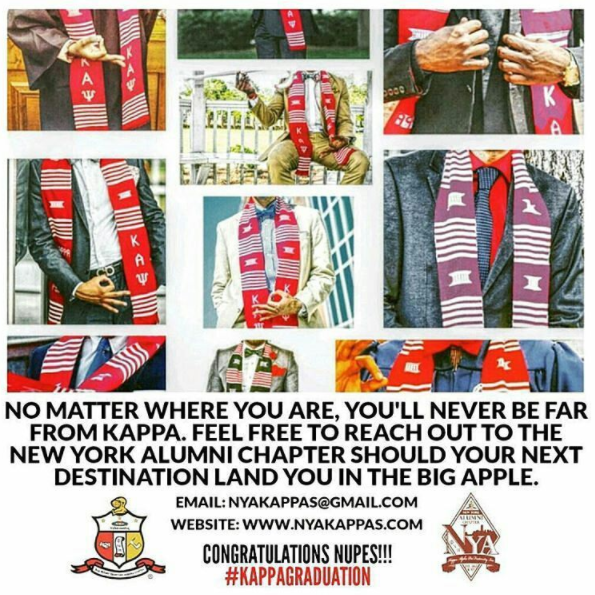 This is one of the many community services programs of the New York Alumni Chapter that exposes children to various aspects of the history, traditions, and culture of Kappa Alpha Psi, with the hope that children will be encouraged to pursue higher education at the college or university of their choice. Program begins around early October starting off with tryouts. This upcoming year the program will host its sixth competition schedule for the Friday after Memorial Day May 30, 2014. The next Student of the Year Pageant for the New York Alumni Chapter will be held in January of 2015. Blue Nile Passage, Inc. is a Rights of Passage Program and is made up of a caring community of people dedicated to the spiritual, cultural, and moral character development of America’s youth, specifically those of African heritage. As our youth grow we must commit ourselves to providing them with the tools they will need to live productive lives. To take on the challenges of overcoming the negative elements of the environments in which they live and to be morally and spiritually led by God. We must also mentor and motivate them to higher levels of scholastic and professional achievement. Blue Nile Passage, Inc. offers a broad spectrum of programs; School Based Training, an After-School Institute, Incentive Based programs and our flagship program Blue Nile Rites-of-Passage. All stress spiritual, cultural, and moral character development. We invite you to explore NYA’s website. Find out more about our programs, current events, and ways you can get involved to help us continue with our commitment to enhancing the lives of the youth, specifically those of African heritage. Age for the program is 12-15yrs old. This is a 9 month program starting in September. All mentors must attend training and submit to a background check.